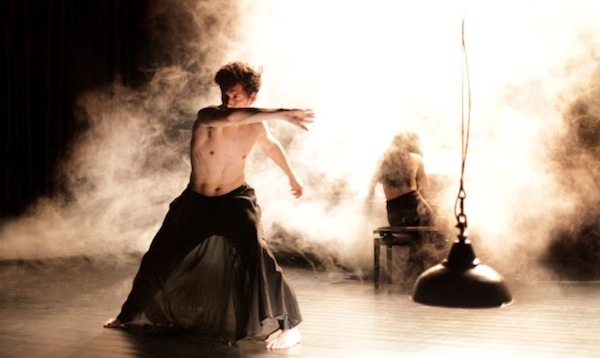 SHIROKURO won in 2014 the Dioraphte Dance Award during the Dutch Dance Days. The literal meaning of the Japanese title SHIROKURO is ‘white-black’. SHIROKURO defines contrasts. Darkness accentuates light. Sound accentuates silence. The idea of hell delineates heaven. Playfulness is intensified by confrontation with directness. Galina Ustvolskaja’s compositions Piano Sonata No. 6 and Piano Sonata No. 5 are the beating heart of SHIROKURO. The powerful, pulsating rhythms of the music penetrate to the innermost core, and continue to resonate until the very end. This is an utterly uncompromising dance concert. 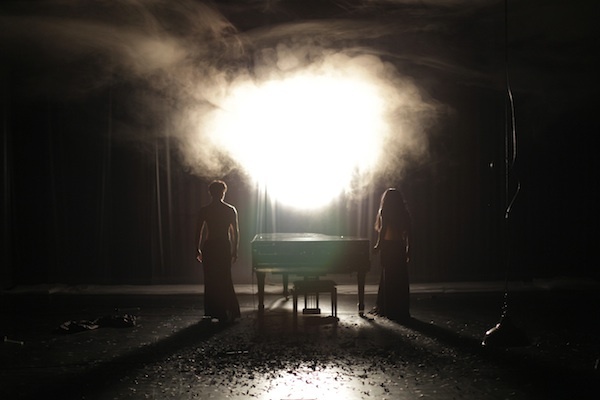 Dancer Mitchell-Lee van Rooij, pianist Tomoko Mukaiyama, choreographer Nicole Beutler and lighting designer Jean Kalman have created a work of such precision and unrelenting energy that it challenges the audience to face their own existential contrasts. The Russian composer Galina Ustvolskaja is known as ‘the woman with the hammer’. 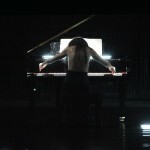 Her radical music drives the physical expression of dancer and pianist alike. And at the golden section of the performance, they create a contrast with a lyrical interlude based on Schumann’s Six Studies Op. 56. The four artists have an abiding mutual interest in each other’s fields. 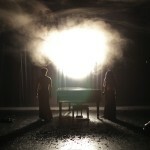 Nicole Beutler’s sense of musicality is central to her work, which includes 2: Dialogue with Lucinda and 3: The Garden. 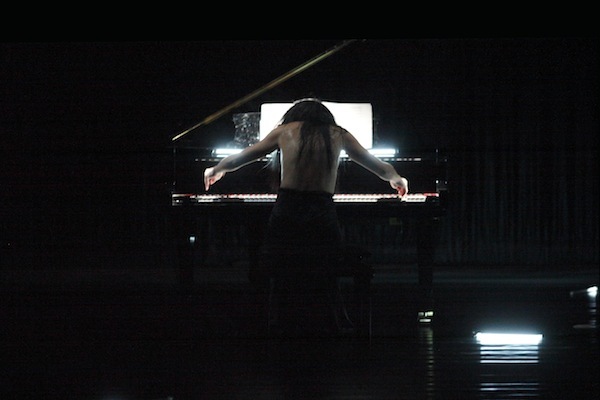 Tomoko Mukaiyama makes use of her physicality in her art and her stage performances, and she often works with choreographers such as Jiri Kylián, Kim Ito and Club Guy & Roni. Dancer Mitchell Lee van Rooij is performing for the first time outside the context of a permanent company, and he has translated his sense of freedom as part of this intensive collaboration into a powerful expressiveness. Jean Kalman is an internationally renowned lighting designer for operas such as the recent production of Parsifal, Die Zauberflöte and many other productions by the Dutch National Opera. His lighting plays an equal part in this powerful interplay of artistic forces. This production is made by the Tomoko Mukaiyama Foundation and NBprojects in coproduction with the Dance Triennale Tokyo, deSingel (Antwerp), Holland Festival (Amsterdam) and supported by the Artist in Residence program of Tanzlabor_21 / Tanzbasis Frankfurt_Rhein_Main. Fund for the Performing Arts NL, AMMODO, Prins Bernhard Cultuurfonds, Japan Foundation.